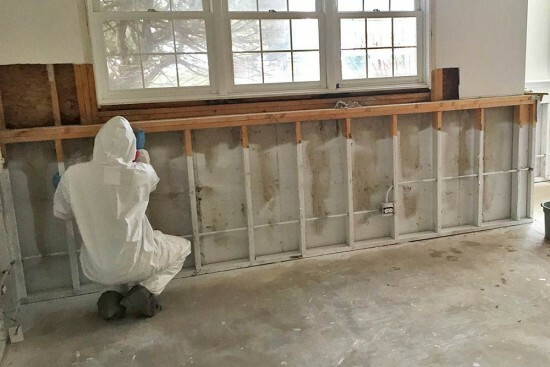 Mold contamination continues to receive increased attention in the media and is a rapidly growing concern for homeowners, property managers, insurance providers and restoration companies. Indoor mold contamination has been identified as a major contributor to allergies and poor indoor air quality. Despite the rapidly growing body of knowledge about mold, it remains the subject of considerable confusion. Mold thrives in moist environments resulting from a flood, a slow leak, a broken pipe, or just high humidity. Mold requires an organic food source. One common food source is cellulose, which is found in common building materials such as drywall. If disturbed, microscopic mold spores can become airborne and inhaled into the lungs. Some forms of mold produce harmful toxins which are capable of causing serious ill-health effects. If yes, then consider the following request: “As a condition of doing the work in my home/business would you please have your lead technician provide evidence of his/her certification?” Please note, everyone says “yes” but few can deliver on this! Cross-contamination is one of the major challenges in remediation projects. Cross-contamination occurs when mold spores are disturbed at the source location and transported or distributed throughout your home or business. 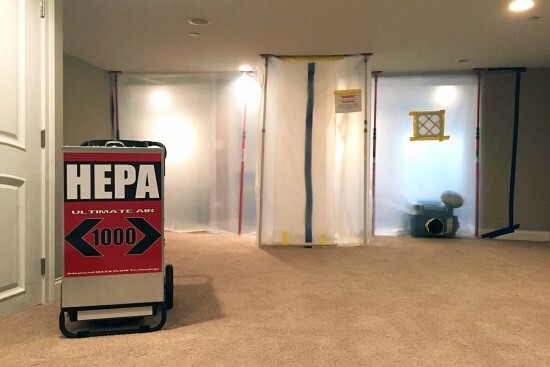 Per IICRC/RIA standards, our quotation includes containment chambers, decontamination chambers, negative air-machines with HEPA filters, and double-bagging of all removed items. We do this with the express intention of preventing cross-contamination in your home or business. Mold has the potential to negatively affect the human respiratory and nervous systems. Mold is most commonly introduced to the human immune system through the eyes, mouth, and skin. 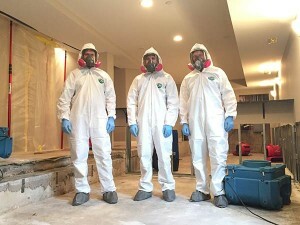 During a project, Spectrum technicians wear full-face respirators with HEPA rated cartridges, disposable coveralls with boots & hoods, and nitrile gloves. Per IICRC standards it is a conflict of interest to perform your own air-quality tests. A 3rd-party Indoor Environmental Professional should be involved on every remediation project. 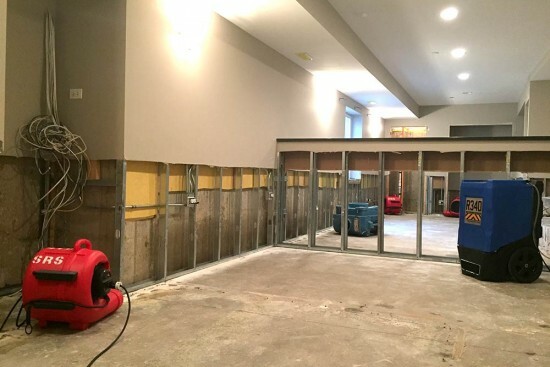 We pride ourselves in our work and are committed to performing high-quality remediation service. Hopefully these questions will help you compare the companies offering to remediate the mold in your home or business. We have over 20 years in business, and a lot of satisfied clients to show for it!